I was given an amusing and very appropriate congratulations card when I got news of being awarded my MSc with Distinction in e-Learning from the Moray House School of Education at the University of Edinburgh this weekend. 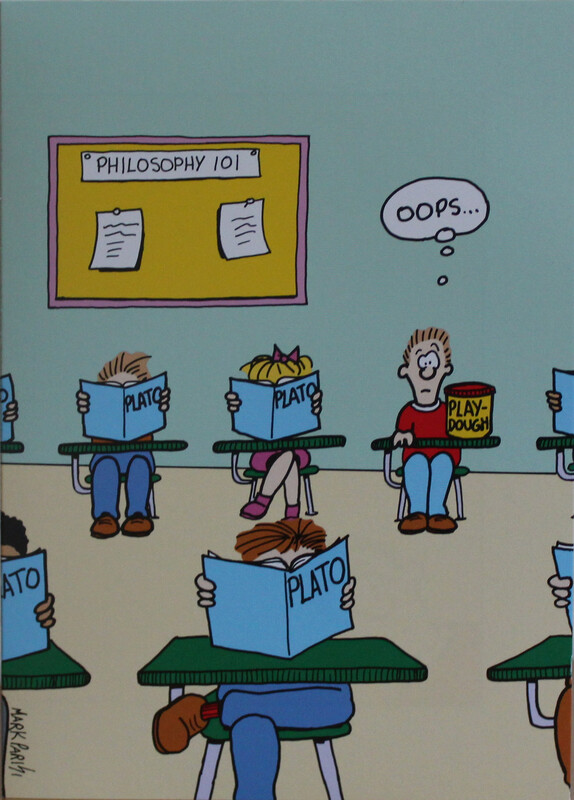 It seemed very appropriate since I quoted Plato as an early advocate of experiential and simulation based learning in my MSc dissertation, and I was covering work on game-based learning for scenario-orientated training. The “off the mark” card artist is Mark Parisi. Tate, A. (2012) ‘Activity in Context’ – Planning to Keep Learners ‘in the Zone’ for Scenario-based Mixed-Initiative Training, MSc in e-Learning Dissertation, Moray House School of Education, University of Edinburgh, 9th August 2012. [PDF Format]. More details at http://atate.org/mscel/i-zone/. “…knowledge which is acquired under compulsion obtains no hold on the mind. …do not use compulsion, but let early education be a sort of amusement; you will then be better able to find out the natural bent. This entry was posted in IDGBL and tagged MSc, Plato. Bookmark the permalink.